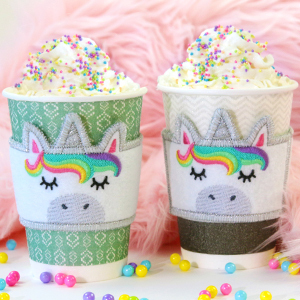 In-the-Hoop Unicorn Cup Cozy Cute details, a Velcro closure, and a three-piece construction option for smaller hoops make this project as convenient as it is charming. In-the-Hoop Leather Clutch Stitch a stylish clutch purse that will make the perfect accetn to a wide variety of outfits. We'll show you how to stitch this unique in-the-hoop design! 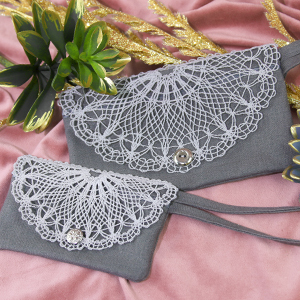 In-the-Hoop Lace Front Zipper Clutch Craft the perfect blend of casual and chic with this in-the-hoop design! A curved lace flap, an optional wrist strap, and a pretty button of your choice add unique flair to a rectangular zipper clutch. 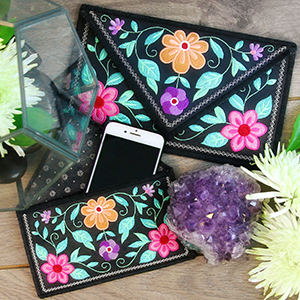 In-the-Hoop Zipper-Back Pouch This specialized in-the-hoop design makes stitching a little zipper pouch quick and simple -- and adorable embroidered details add the perfect finishing touch. 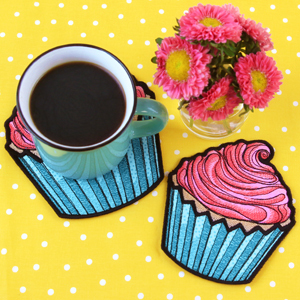 In-the-Hoop Applique Trivet Sweeten up your kitchen decor with stylish trivets stitched in-the-hoop! 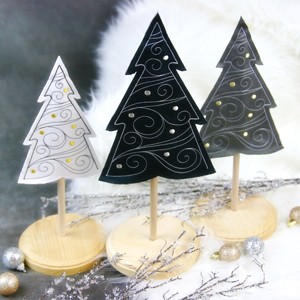 We'll show you step-by-step how to create your own applique trivets! 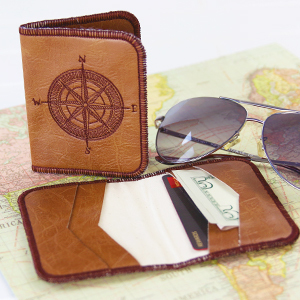 In-the-Hoop Wallet This in-the-hoop wallet design features a decorative compass rose motif, perfect for the wanderer at heart. Your choice of outer and lining fabrics will make it one-of-a-kind! 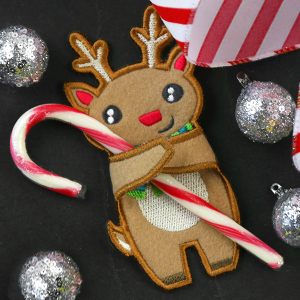 In-the-Hoop Candy Hugger Holiday gifts just got a whole lot sweeter! 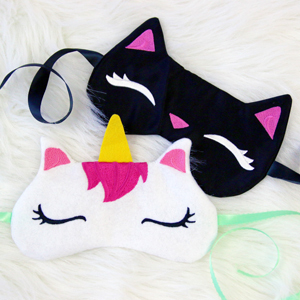 Give candy, treats, and money with these in-the-hoop candy huggers. 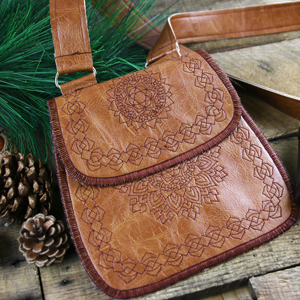 Front Flap Purse (In-theHoop) Craft a fashionable bohemian look with this unique in-the-hoop embroidery design! 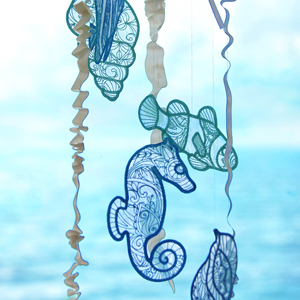 Stitch the front and back separately to add light, intricate decoration to each, then assemble in-the-hoop. 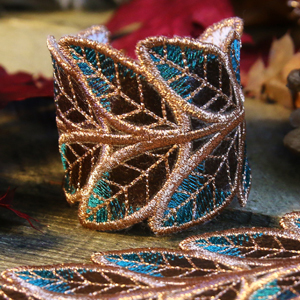 In-the-Hoop Bracelet Wear autumn on your sleeve - or a glamorous in-the-hoop cuff! 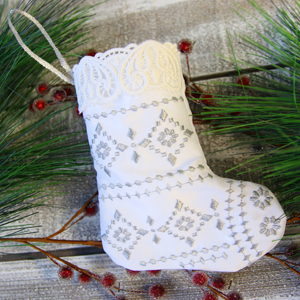 We'll show you how to stitch this stunning fashion accessory. In-the-Hoop Zipper Pouch Zippers are easier than ever with specialized in-the-hoop embroidery designs. 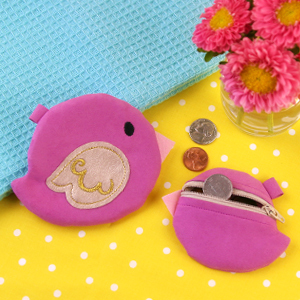 Follow along to stitch your own, and zip it good! 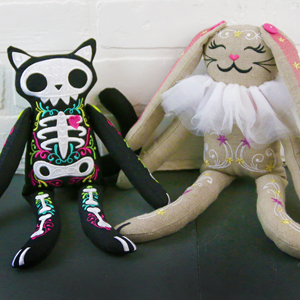 Jointed Doll (In-the-Hoop) Stitch each piece of this playful bunny in-the-hoop, then stuff and assemble, complete with classic button joints. We'll show you how! 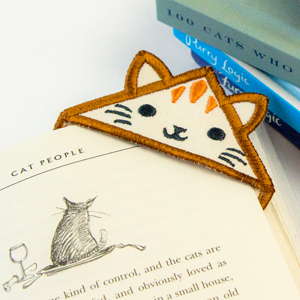 In-the-Hoop Corner Bookmark Stitch up this adorable corner bookmark in-the-hoop, then snuggle up with a kitty and a good book! 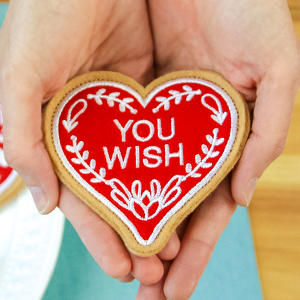 In-the-Hoop Cookies Stitch an in-the-hoop treat for your sweetie with adorable in-the-hoop cookie designs! In-the-Hoop Crazy Quilt Blocks These in-the-hoop designs make wild crazy quilt patchwork simple and easy! 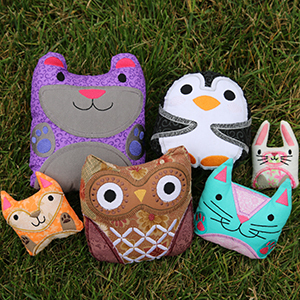 In-the-Hoop Fluffy Plushies Snuggle up to these adorable in-the-hoop creatures, made extra wild with faux fur! 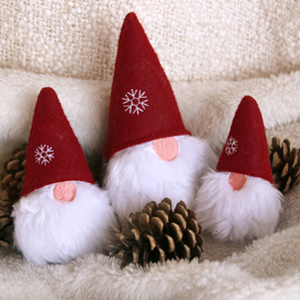 Nordic Gnome (In-the-Hoop) A faux fur beard brings over-the-top charm to this little in-the-hoop gnome! 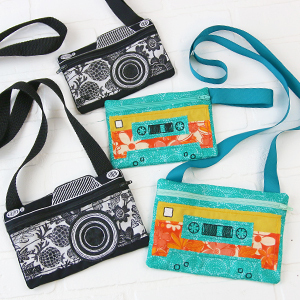 Just stitch, turn, and stuff -- we'll show you how. 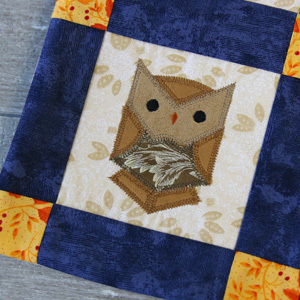 In-the-Hoop Quilt Blocks Get the convenience of machine embroidered applique, plus the look of traditional patchwork, with in-the-hoop quilt blocks! Freestanding Organza Feather Drift away with your own freestanding organza creations, specifically designed for a gorgeous delicate look. 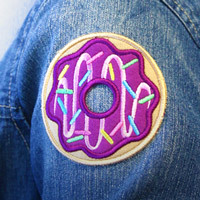 Open Center Patch Create a unique patch with an open center! 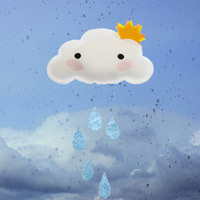 Cloud Stuffie Mobile Let this adorable stuffed cloud mobile shine in your home, kid's playroom, or office cubicle! 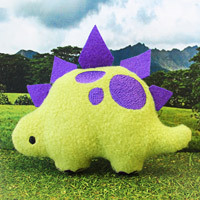 Stitch & Turn Stuffie with Felt Pieces Create your own lovable stuffed stegosaurus or dragon with this easy DIY tutorial. 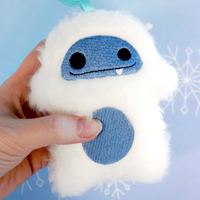 Stitch & Turn Stuffies with Applique Stitch an adorable plush toy in the hoop, then turn and stuff! 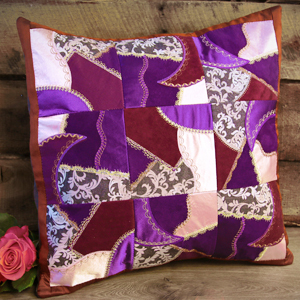 A second layer of applique fabric makes these designs unique. 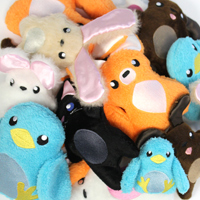 Plushie Pals Stitch an army of plush friends with these in-the-hoop designs! 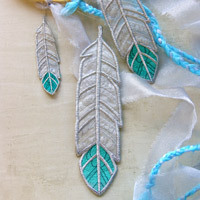 Stitch and turn appendages separately for a smooth, polished look. 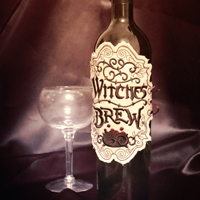 Lace-Up Bottle Label Dress up a bottle of wine for a spooky soiree with this apothecary-style bottle label that laces up like a corset! 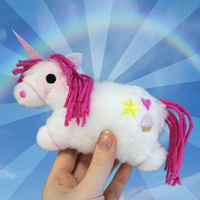 Tiny Plush Unicorn Bring some magic to your day with this stitch-and-turn unicorn design, complete with yarn mane and tail!